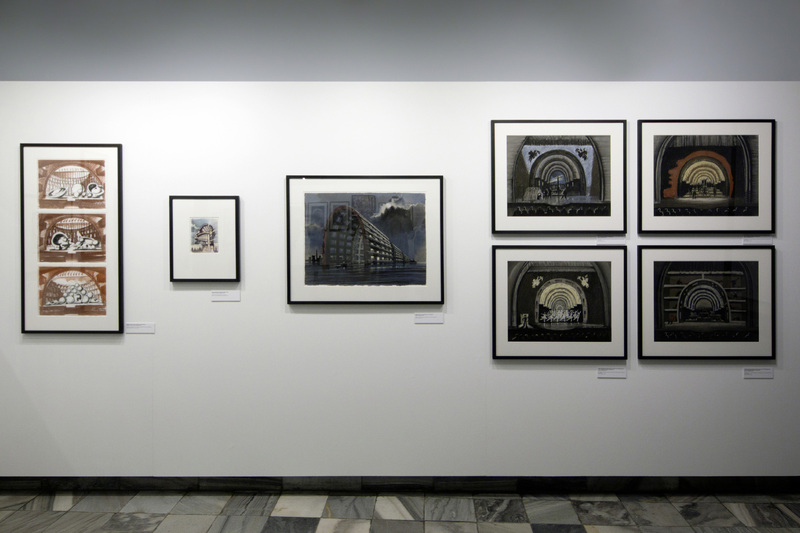 Museum of Architecture in Wroclaw presents works on paper by the architect Sergei Tchoban. 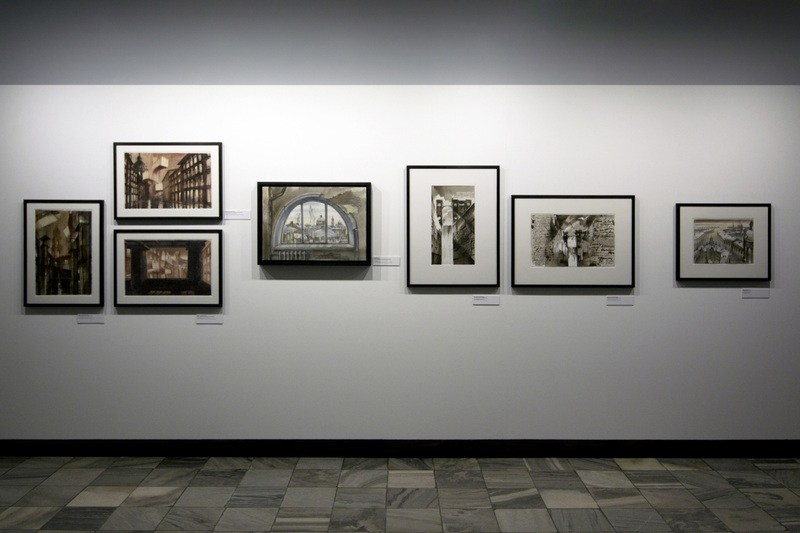 The Contrasting Harmony of the City exhibition o ers a selection of drawings, architectural fantasies, ideas for set design and various compositions depicting the contrasting harmony between contemporary and historical, iconic and background-architecture. 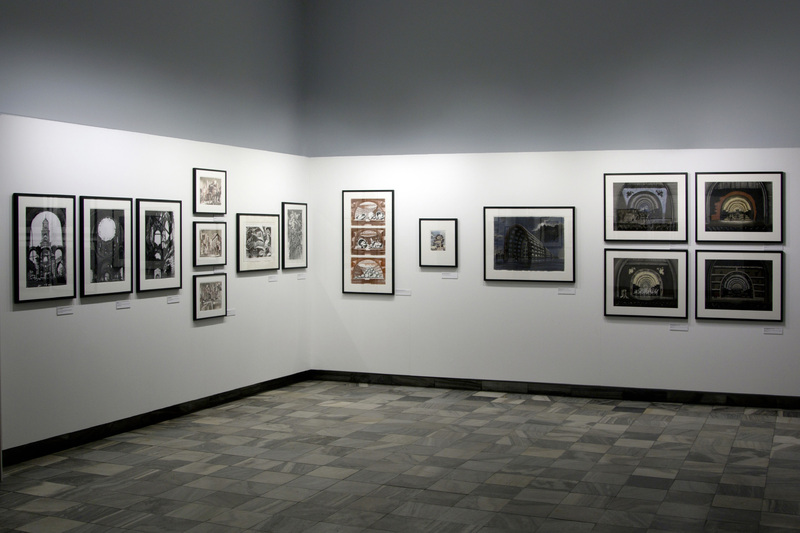 The exhibition highlights the artist’s dedication to architectural drawings: structure of European city combined with futuristic elements as seen in his Architectural Capriccios and compositions of Urban Layers; and charcoal drawings of ruins of Russian orthodox churches destroyed in the Soviet era depicting a tragic atmosphere in his series Damaged Churches. With his drawings, Tchoban often brushes the topic of how contemporary architecture can exist in historic urban areas, and how new layers play a role in creating the heritage of the future. Recently, Sergei designed the sets for the play Svetlyj put’ 19.17 (Shining Path) at the Moscow Art Theatre. Written and produced by Alexander Molochnikow, the play is marking the 100th anniversary of the 1917 October Revolution. 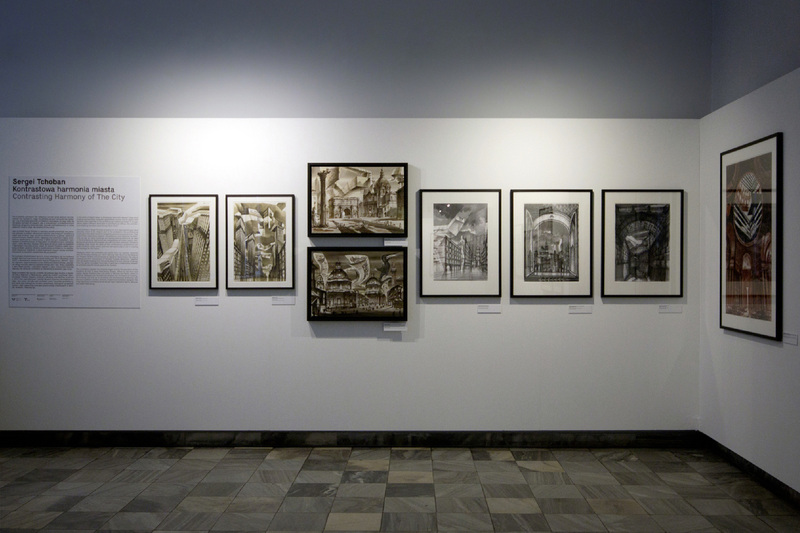 The set design drawings and the pastel drawing from the series Dead End portray a relationship between an architect and the Soviet past in his country. This exhibition brings together visualized and constructed ideas on paper. 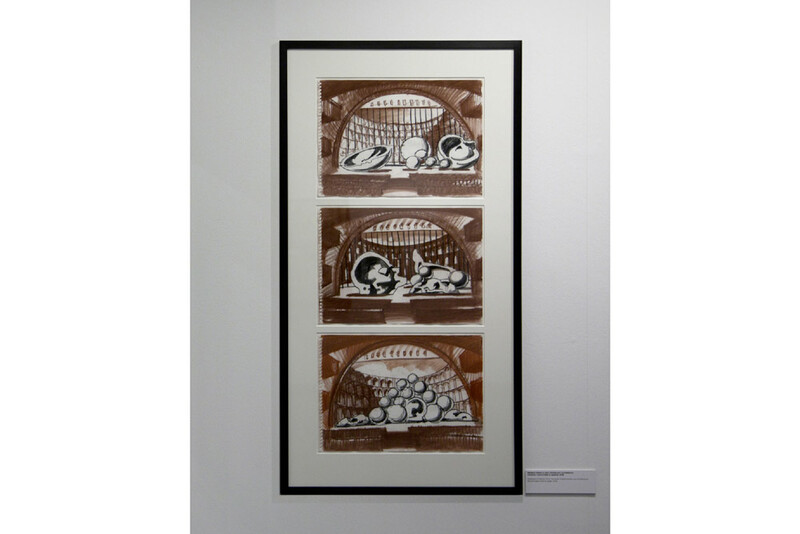 Looking at architecture around the world, and developing and working out new ideas on paper, demonstrate these themes in his architectural drawings. Drawing is an essential component of Sergei Tchoban’s communication tool that gives him the ability to translate his ideas about the relationship between contemporary and historical architecture, as well as iconic buildings and built background–architecture.